GOA: A supersonic BRAHMOS cruise missile may be installed on a Fifth-Generation Fighter Aircraft (FGFA) jointly developed by Russia and India, head of the Russian-Indian BrahMos Aerospace enterprise, Sudhir Mishra, said Monday. The FGFA has stealth capabilities and is based on the Russian T-50 prototype jet. The FGFA project came about following the signing of a Russian-Indian cooperation agreement on October 18, 2007. "We are presenting BrahMos to many Indian public and private defence companies, from some of them we get a technical job. We presented it also to developers of the FGFA, they asked to adjust the size of the missile, so it can be placed on board the aircraft. Such work is ongoing," Mishra told RIA Novosti during the exhibition Defexpo India 2016. 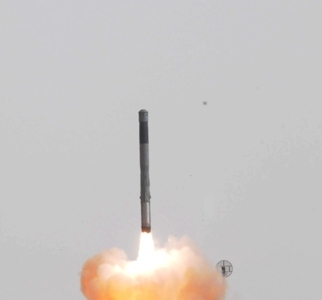 BRAHMOS is a short-range supersonic missile, which has been used by the Indian Navy since 2005. The missile has a range of 180 miles and can carry a conventional warhead of up to 660 pounds. BrahMos Aerospace was formed by India's Defence Research and Development Organization and Russia's NPO Mashinostroyenia. It produces weapons systems using Russian and Indian technology.